Paracord is widely considered a must-have for wilderness survival, and there are hundreds of tutorials for making bracelets out of it, etc. With this popularity has come a glut of people selling "paracord" that doesn't actually have the strength and durability of "real" paracord, and may not even be made from nylon. Considering the inconsistent quality of cord sold as "paracord", is paracord actually the most practical cord to carry while backpacking or engaging in other wilderness activities, or is there a better alternative? I'm thinking of uses like replacing broken shoelaces, rigging a tarp up as a shelter, creating extra guylines for tents, etc. I'm not really looking for a specific click-here-buy-now product link; I'm more interested in what types of cords are available, how to identify them, what their merits are, and how to select a good one based on what I'll be doing with the cord. Paracord's biggest selling point is that it's strong enough to hold your body weight. That's great and all, but honestly, it's very rare to get caught in a situation where you're forced to use a rappel. The most common situation is when parachuters get caught in trees, but in those situations, you already have a bunch of lengths of paracord attached to you (your parachute). For every other situation you're probably already going to be carrying a rope. For all of the more common practical applications, I use nylon string. I have had the same roll of braided nylon string (masons line) in my backpack for over ten years now, and I use it for everything. 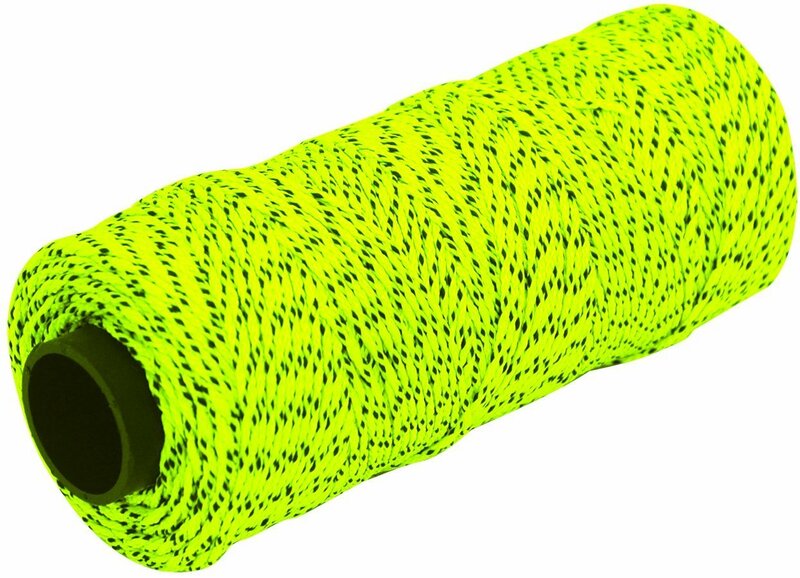 A roll of 500ft fits in your hand, it's light, and it's surprisingly strong–I've never had it break on me–but I've also never used it to hold body weight, though with 500ft, you could string a few strands together which would certainly hold body weight, and seriously, a roll of 500ft last forever. 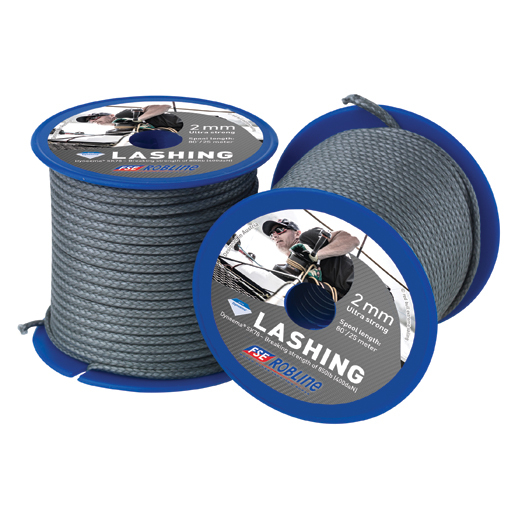 And I know I've used it for many many other things as well, it's just super handy to have strong lightweight string. The only thing about it is that it's got some stretch to it, and if you use it for lashing off the roll without gloves it cuts into your hands because of how thin it is, but everything I've lashed with it has been super solid. If you leave it on the roll while tying then you can use the roll as a handle to help you get some comfy leverage and get things real tight. Nylon is great for climbing ropes, but it's sub-optimal for lashing and repair since it stretches so much under load. It's 2mm cord with a 450lb breaking strength. 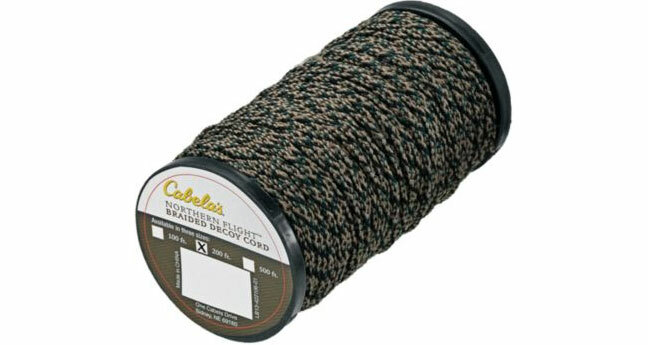 A lifetime supply (200ft) is $7 and it comes in lots of colors. If you've got money to spend, a marine supply store is the place to go, not a climbing shop. You can buy 2mm cords with over 800 lbs breaking strength. What I really carry for quick repairs is zip ties and voile straps, but that's another question. Not the answer you're looking for? Browse other questions tagged survival ropes paracord or ask your own question. What are practical uses of paracord survival bracelets? What makes certain mountains more dangerous than others?